We are reaching the end of November and beginning December this week! I hope that you’ve already done your Christmas shopping, because this week is the beginning of all the Christmas festivities! The island of Sentosa is lighting up everywhere from the boardwalk to Universal Studios Singapore! There are plenty out there for you to do this week, from drinking to feasting and any last minute shopping, so read on to find out more! Everywhere is lighting up, and goes without saying, but the Gardens by the Bay is not excused from the lights. 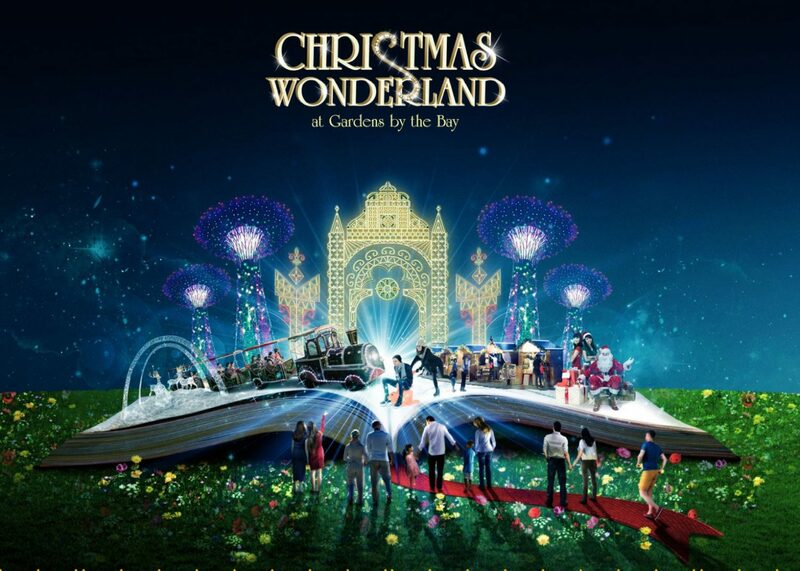 The Christmas Wonderland is an annual event of the Gardens, and this year’s rendition will include the largest luminarie mirror maze in Southeast Asia, as well as magical performances put up by world-class illusionist Rob Lake. Also, the favourites are back, with the outdoor skating rink, “snowfall”, carnival games and rides! Make sure not to miss out the Christmas markets selling hand-crafted gifts and festive grubs! You’re going to be there for a long while, so make sure to keep yourself satiated! After the largely successful Halloween Horror Nights held in the Universal Studios Singapore, they are coming up with something just for Christmas! A Universal Christmas will be bringing dazzling light displays, musical performances and fireworks! You will also be able to catch your favourite characters in the Christmas parade consisting of beautifully decorated floats with more than 50 characters marching down the street! During nightfall, there will also be the Santa’s Christmas Light-Up Party where Minions, Sesame Street friends and many more appear in their Christmas outfits! Fans of the long-running anime series will jump at the chance at this. This exhibition presents the original illustrations of Eiichiro Oda, the manga artist of One Piece and allows fans to get up close and personal with a replica of his trusty work desk that has brought us the series since 1997. There is also a unique Virtual Reality Experience available for fans to take a look into the mind of Oda! And if the original illustrations of Oda are not enough, there will be a merchandise shop that stocks original One Piece merchandise so that you can bring home your personal One Piece! As evident from the increasing frequency of street culture-related events popping up in Singapore lately, the subculture is gaining a significant following. This week, Culture Cartel is bringing combining fashion, art, toys and tattoo in one major convention in Singapore F1 Pit Building! 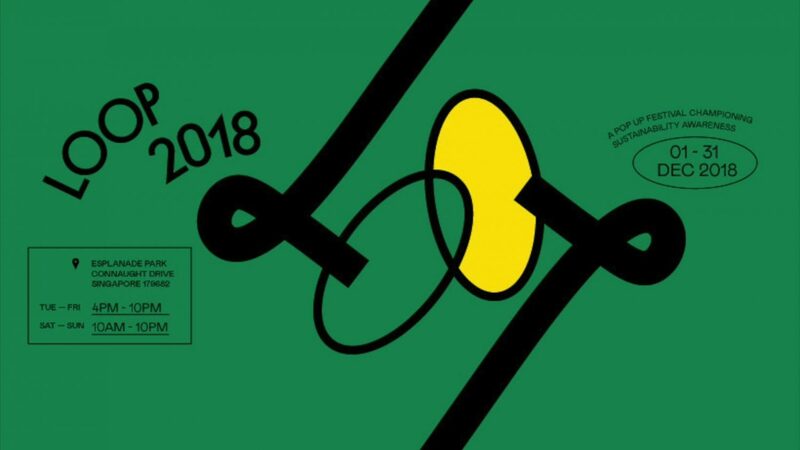 Attendees to this event can expect brand and retail showcases as well as art exhibitions and installations by local and international street artists, designers, tattooists and urban labels from all over the world. There will also be exclusive merchandise from Culture Cartel’s collaborations with Subcrew, SBTG, Few & Far, CHPLCO and New Era! Also, don’t miss out on exclusive launches of original and limited edition merchandise from ASICS Tiger, Vans, Adidas, Nixon and Timex among many others! And if you are those who prefer to wear your designs on the skin, there are opportunities for you to get yourself a new ink at the event itself! PS: I will be attending the media preview of Culture Cartel, so stay tuned for a write-up on the Culture Cartel! 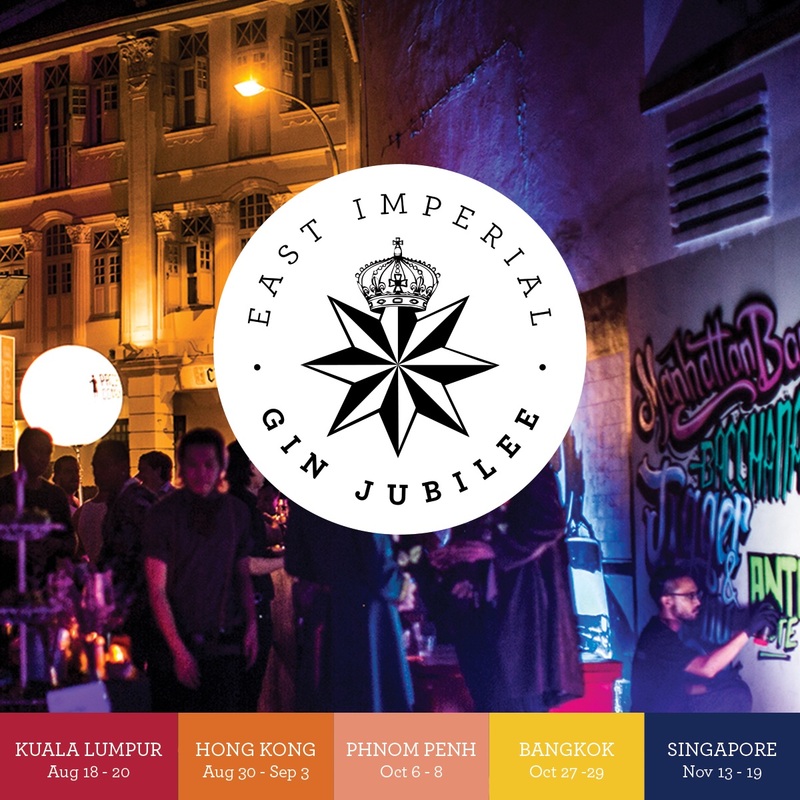 East Imperial Gin Jubilee celebrates the world’s finest gins. Hosting a series of competitions, masterclasses, pop-ups, tasting sessions and distillery visits, the festival takes place across 5 different countries and it’s reaching its finale right in Singapore! On the 8th Dec, you will get to experience the East Imperial Gin Jubilee’s signature Gin Lane closing party to keep the night going. Other than the favourite gin & tonics, there are plenty of other food and drinks to keep you going through the night! This year’s ZoukOut is a 1-day festival, as opposed to its usual 2-day programme. However, that does not mean that this year’s ZoukOut is going to be any less than the previous renditions. This year’s beach party is going to last for a whopping 16 hours with internationally-known favourites on deck, such as Dimitri Vegas & Like Mike, Galantis, KSHMR, W&W, and the ex-Dash Berlin headman, Jeffrey Sutorius! Whether you’re a fan of house, trance, big room music, there is definitely something for you. PS: ZoukOut team, I’d love to do a write-up on ZoukOut, so I’ll love it if I can get media invites *wink wink*. Christmas is a season of giving, so in midst of all the parties and festivities going on, be sure to extend your love to the less fortunate out there! 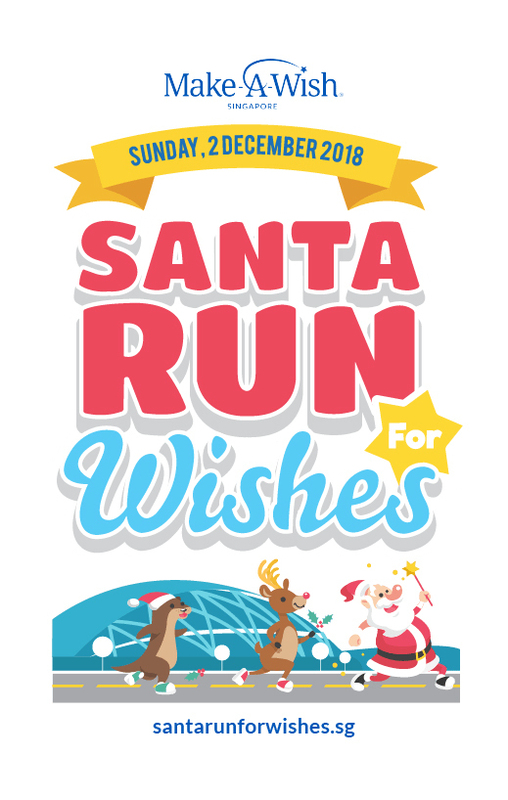 This Sunday, Make A Wish Singapore is organising the Santa Run for Wishes! All registration and proceeds from the run will go to the Make A Wish foundation which aims to grant wishes for children with life-threatening illnesses. Loop 2018 Pop-up Festival is 1 month long and aims to celebrate sustainability. It features over 100 local craft makers, food and beverage vendors, environmentally-conscious retails and various wellness experiences. There are also weekly movie screens by Popcorn and free sunset yoga sessions from 5.30pm every Saturday! Go check it out if you’re in the vicinity!